I have been seeing this palm print everywhere lately. I fell In love with this romper when I saw it at Nordstrom. I love everything about it. It runs small. I went up a size. Rompers can be tricky but this one is really flattering. I LOVE that romper! It looks so pretty on you! You styled it perfectly! 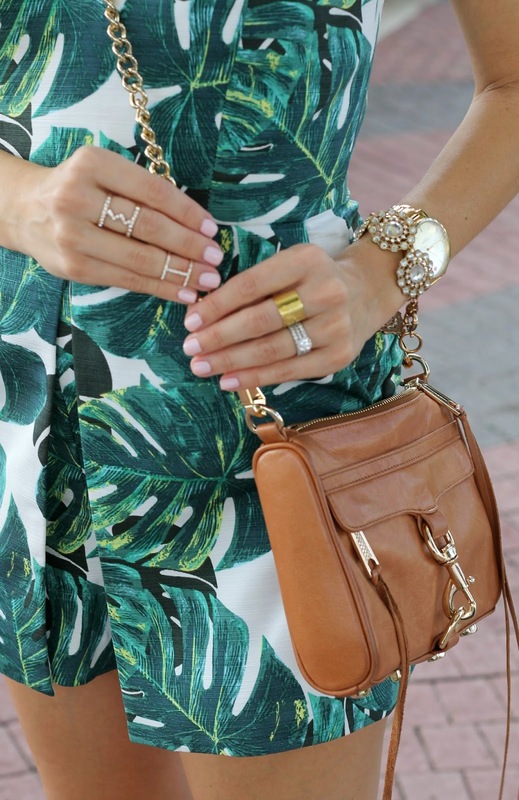 So obsessed with the palm print right now! That romper is beyond! Loving that print!!! perfect colot combo! and this jumpsuit is so perfect for you! Love this romper! The print is fabulous :) Always stunning Jade!! Head over hills for that romper. You look amazing as usual. absolutely love this romper! the palm print is so retro but still current, and you styled it amazingly! the print of that romper is so fun and the fit looks amazing on you! LOVE this romper! I've been on the lookout for palm print pieces, but this is just too much. Thanks for the tip on sizing, good to keep in mind! This has to be the chicest palm tree body suit! You rock it! This romper is too cute! The print is perfect summer! Everything about this is amazing!!! This is perfect!!! I am in love with that print!!! Adorbs! That romper is too cute! The print is so fun! Obsessed! Such a cute romper. Makes me want to go on vacation! I love this romper! It looks so cute on you.